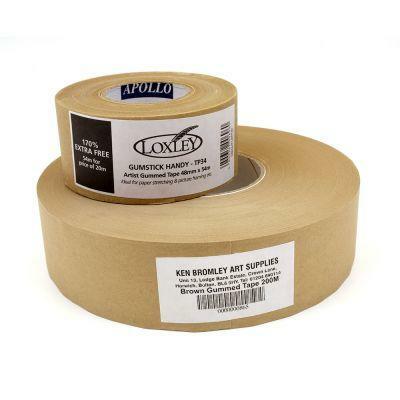 Excellent quality brown paper gummed tape 50mm wide (2") in width. Available in 200m roll and 54m roll (54m for the price of 20m). Our Gummed Paper Tapes use an adhesive that is 100% derived from vegetable starch and consequently are suitable for use by vegans and those who wish to avoid using animal-derived products.